NovaBirds Cam Blog: Happy Halloween from NovaBirds! 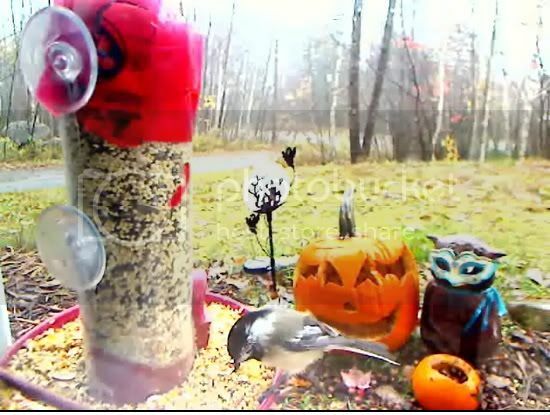 A wet chickadee visits the feeder. It's going to be a pretty damp and dreary Halloween here at NovaBirds! The edges of Hurricane Sandy are over our region, bringing us heavy rain and thunder storms (yikes)! That doesn't seem to be deterring the birds though! Although damp, they're still visiting frequently!